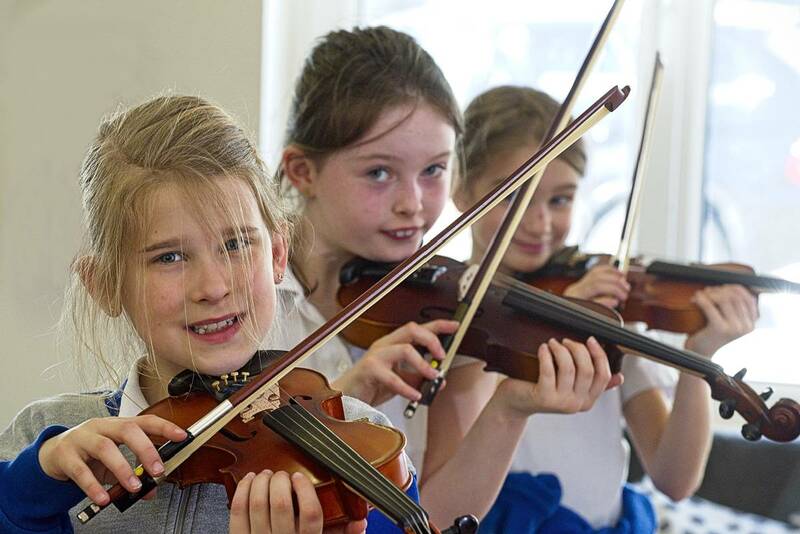 All classes in the school receive a violin lesson weekly. 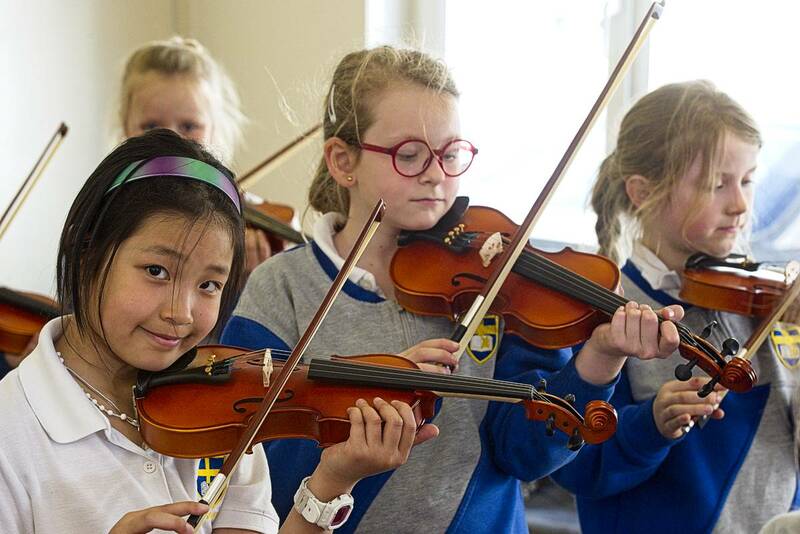 From Kinder A to Class 6, the children learn the fundamentals of violin playing. 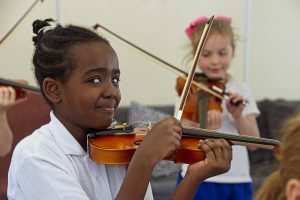 They start by learning how to hold the violin and the bow correctly, correct posture, how to pluck and bow open strings, gradually moving on to putting fingers on the strings and playing notes. They will develop their skills by playing small appropriate pieces graduating from easy pieces to more difficult pieces. From Class 3, the children are also taught how to read basic music notation and how to apply the notation on the page to the violin in their hand. The benefits of learning an instrument are many – from the basic discipline of the class (standing steadily, correct posture), to enhanced aural ability (identifying if notes are out of tune and, if so, correcting them), improved fine motor skills, both left and right hands, collaborating with classmates and not least some fun and enjoyment. Additional ongoing benefits of learning an instrument are well recognised and range from; increased capacity of memory, refined time management skills, enhanced coordination, improved reading and comprehension skills, relieving stress, teaching discipline and promoting happiness. Research shows the academic benefits of playing a musical instrument are particularly related to string instruments. Elaine Rice has played the violin from a very young age. She has an M.A. in Music Performance (violin) from C.I.T.